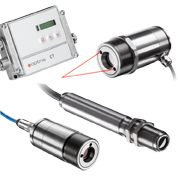 Optris has been developing and manufacturing innovative infrared measurement devices for non-contact temperature measurement, including handheld thermometers, stationary industrial thermometers, and infrared cameras for point and area measurement, for more than 15 years. 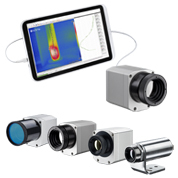 Our comprehensive product portfolio comprises infrared measurement devices for different industrial applications as well as research & development. Along with our free thermal analysis software, our measurement devices enable constant monitoring and control of virtually every manufacturing process, and reductions in production costs through specific process optimization.